Where Can You Buy Trombone Art? Quite a few people who have visited my office at Brigham Young University or visited my webpage (especially the Trombone History Timeline) have asked where they can buy reproductions of the trombone artwork. Below are the images I have had luck getting copies of myself. I have seen a number of others for sale as well, but for now, I will limit this list to the reproductions I have successfully purchased myself. I am also not including images by living artists, since their work is not in the public domain, and thus cannot be easily shown on this blog post. I have organized the pictures chronologically out of simple convenience. 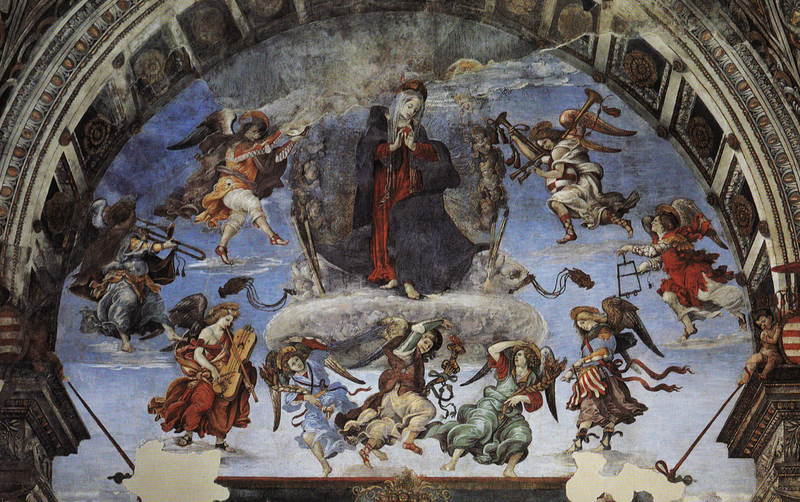 1488-93—Filippino Lippi, Assumption of the Virgin from the Carafa Chapel of the church of Santa Maria sopra Minerva, Rome. You can buy this one at AllPosters.com. 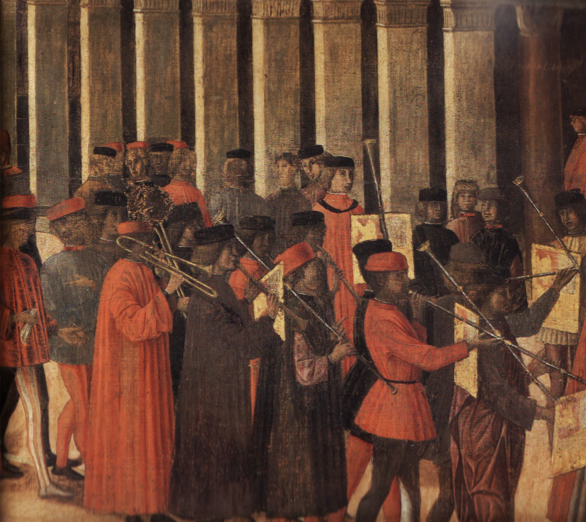 1496—Detail of musicians from Gentile Bellini’s, Procession in Piazza San Marco. You can buy this detail (or one close to it) at AllPosters.com. 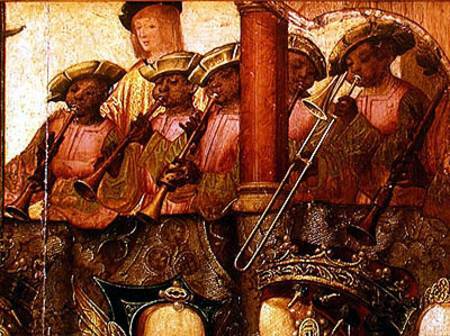 c. 1520—Detail of musicians from a painting by Master of Saint Auta Altarpiece called The Engagement of St. Ursula and Prince Etherius, sometimes also titled St. Ursula and Prince Etherius Making a Solemn Vow. You can buy this detail of the painting at AllPosters.com. 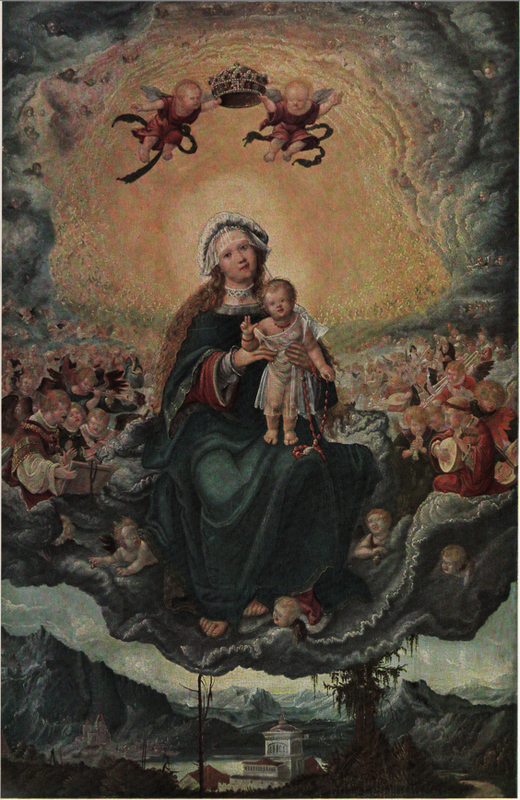 c. 1522-23—Albrecht Altdorfer, Mary and Child in Glory. This is available at AllPosters.com. 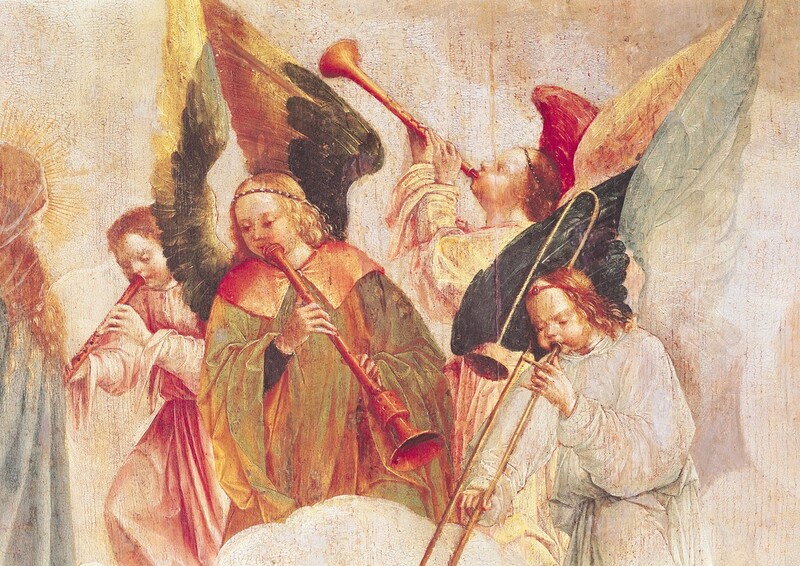 c. 1530—Frei Carlos, Musical Angels, a detail from Assumption of the Virgin. You can buy this detail at AllPosters.com. 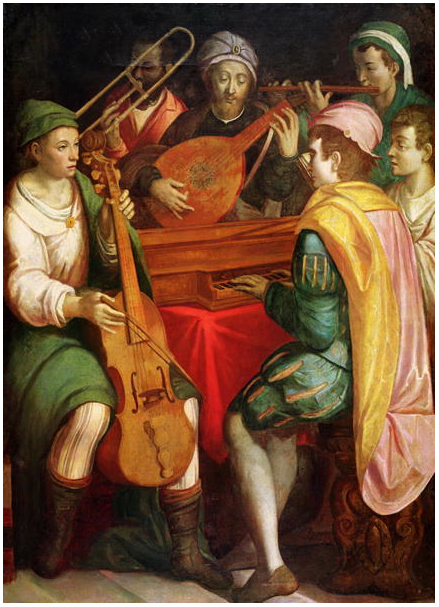 1600s—Anonymous Italian painting from the 17th century. 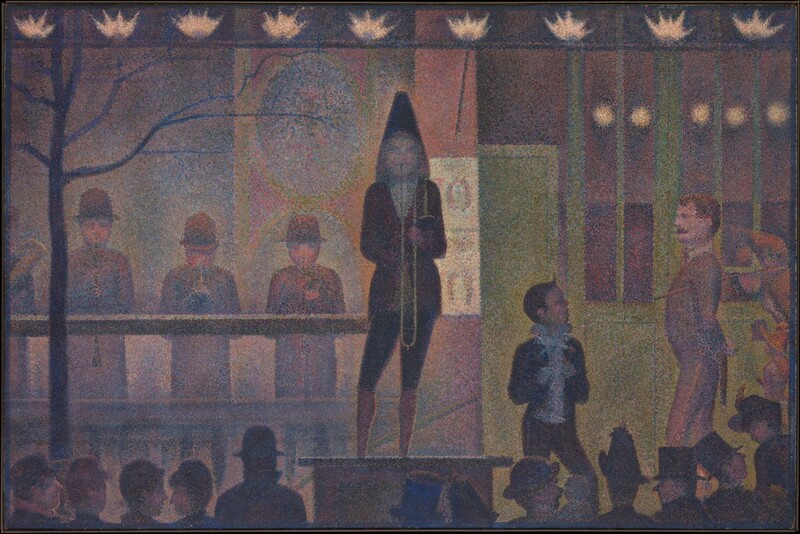 I have a reproduction of this painting, but I cannot recall where I got it and have not been able to track down the vendor. 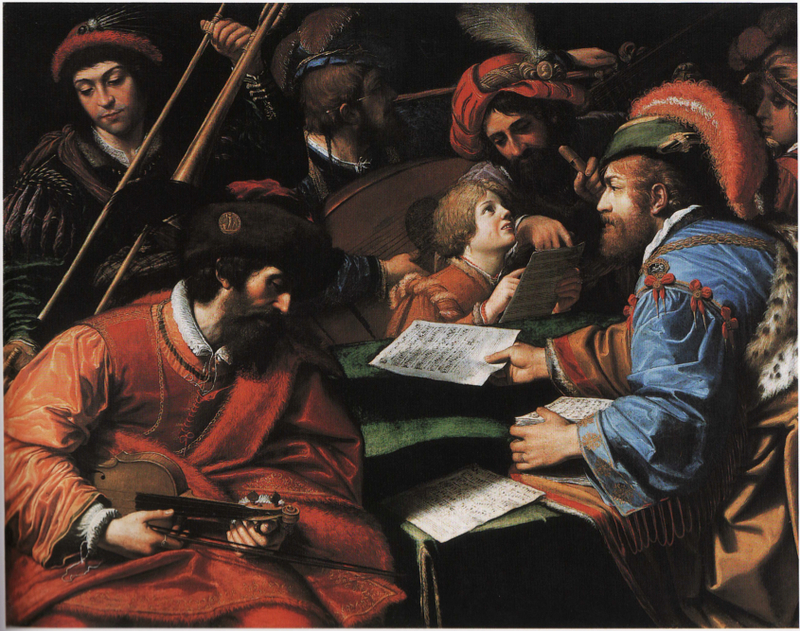 c. 1610—Lionello Spada, Concert. You can buy a print of this at AllPosters.com. 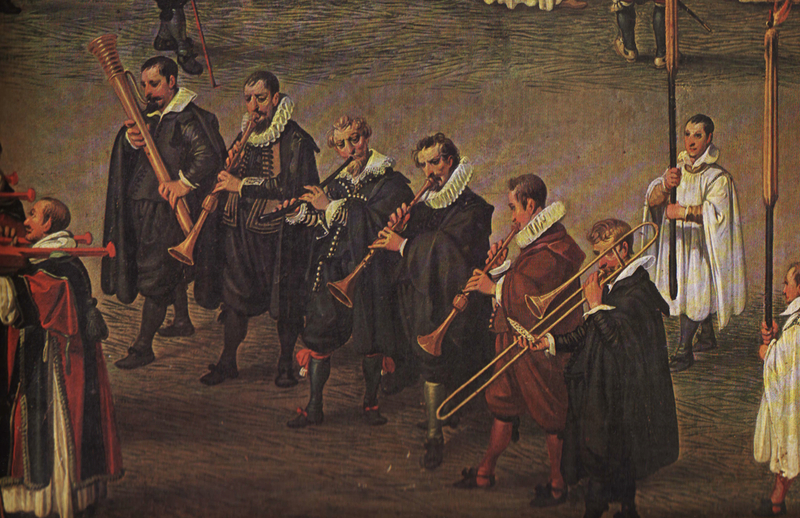 1615-16—Detail of musicians from Denis van Alsloot, Procession en l’honneur de Notre-Dame du Sablon a Bruxelles le 31 mai. You can buy this detail at AllPosters.com. 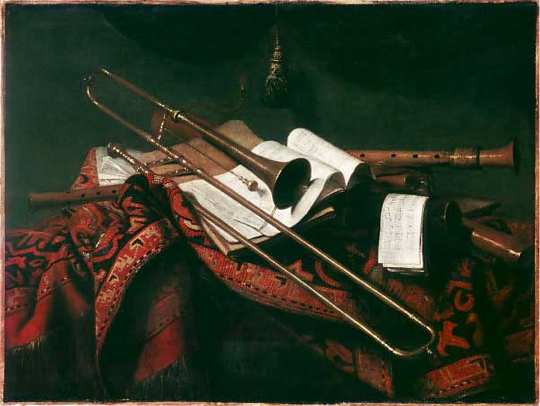 1663—Franz Friedrich Franck, Musikstilleben (Music Still Life). You can buy a print of this at AllPosters.com. 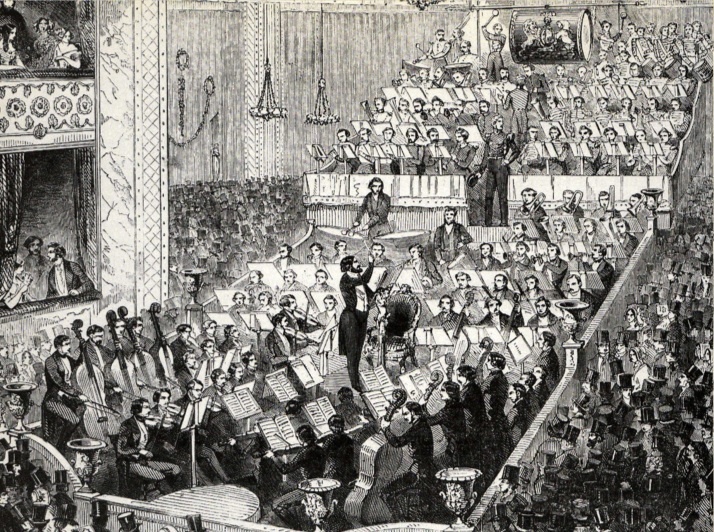 1846—Depiction of a large concert staged by Louis Antoine Jullien at Covent Garden, originally printed in the London Daily News. You can buy a copy of this at AllPosters.com. 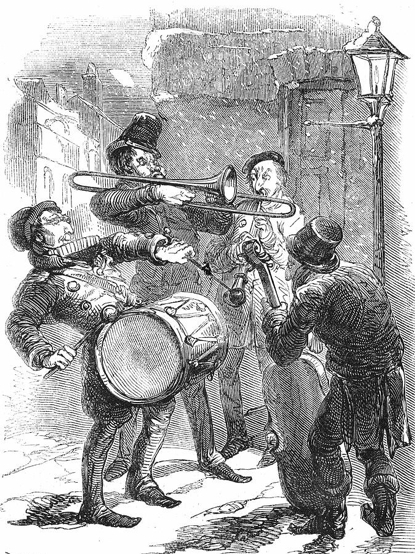 1847—Engraving depicting a group of Christmas carolers. You can buy a print of this image at Fineartamerica.com. 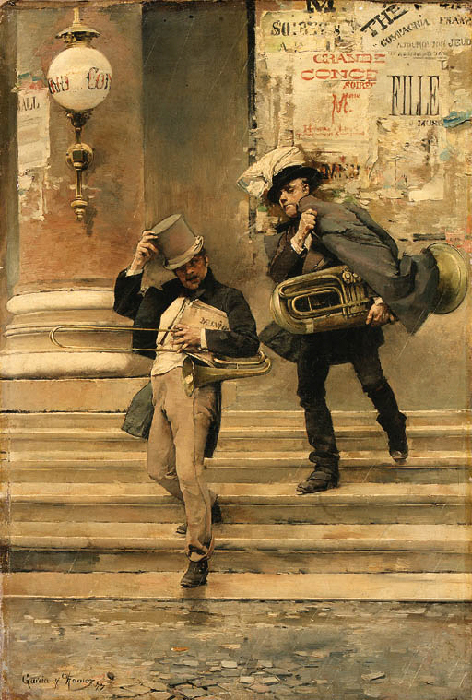 1877—Jose Garcia y Ramos, After the Concert. You can buy a copy of this at encore-editions.com. 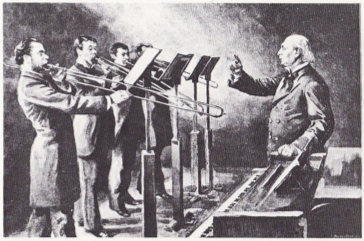 1886—Au conservatoire: Classe de trombone, professeur M. Delisse, originally published in L’Illustration (drawing by Paul Renouard). You can buy a copy of this at AllPosters.com. 1888—Georges Seurat, Parade de cirque. You can buy a copy of this at AllPosters.com.